Torque magnetometer is based on the principle that a magnetic field exerts a torque (force) on magnetic samples to try to align the magnetization with the field. 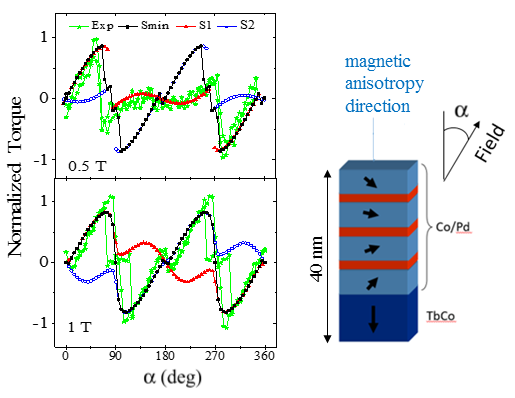 Whenever the magnetization is pulled in a direction other than the easy axis, the anisotropy tries to pull the magnetization in the easy axis direction. The force with which this takes place can be measured. 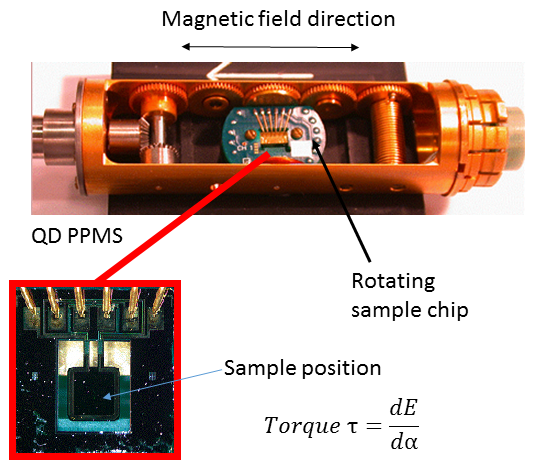 Torque magnetometer is optimized for characterization of highly anisotropic magnetic materials.